Çalışmada Doğu Asya ülkelerinde ihracata dayalı büyüme hipotezi (ELG) ve iç talep çekişli büyüme hipotezi (DLG) 1983-2015 dönemi için dinamik panel veri analiz yöntemi ile test edilmiştir. ELG hipotezi ekonomik kriz sonrası zamanla Asya’da popülerliğini yitirmiş ve politika yapıcılar yabancı talebe bağımlı olmayan başka bir büyüme hipotezini (DLG) çözüm önerisi olarak uygulamaya koymuşlardır. İkinci nesil birim kök, eş-bütünleşme ve nedensellik testlerinin kullanıldığı ekonometrik modelde uzun dönem katsayıları Pesaran (2006) tarafından geliştirilen CCE modeli ile her bir ülke için ayrı ayrı hesaplanmıştır. Elde edilen uygulama sonuçlarına göre; Hong Kong ve Singapur’da ihracat dayalı büyüme hipotezi kabul edilirken Güney Kore ile Makao’da iç talep çekişli büyüme hipotezi dominanttır. Japonya’da net ihracat ve iç talep, ekonomik büyümeye birlikte katkı yapmaktadır. Bu nedenle Japonya’nın ekonomik büyüme katsayısı diğerlerinden daha büyüktür. Sürdürülebilir büyümenin anahtarı ELG ve DLG hipotezlerini birlikte içeren bir politika uygulamaktan geçmektedir. The purpose of this study to compare export-led growth (ELG) and domestic demand-led growth (DLG) hypotheses in East Asia during 1983-2015 with dynamic panel data analysis. Export-led growth strategy lost in time its fame in Asia after the economic crisis and policy makers put in practice some solution packages and tried to move on another growth strategy (DLG) which does not depend only foreign demand. The second generation unit root, co-integration and causality tests have been used at the empirical part and long term coefficients calculated with CCE model (Pesaran, 2006) individually. According to estimated long term coefficients for each country; in Hong Kong and Singapore export-led growth hypothesis is dominant but in Macau and South Korea domestic demand led growth is strictly speaking. Net export and domestic demand contributes to economic growth together in Japan and economic growth coefficient of Japan is bigger than the others. The key of the sustainable growth is to have a good combination of ELG and DLG hypotheses. Asian Development Review (2005), http://www.adb.org/publications/series/asian development-review (30.11.2015). Basevi, G. (1970). Domestic Demand and Ability to Export. J.P.E. March/April, 78: 330-37. Blecker, R., A. (2000). The Diminishing Returns to Export-Led Growth. A Council on Foreign Relations Paper. www.cfr.org. Chang, Y. (2004). Bootstrap Unit Root Tests in Panels with Cross-sectional Dependency. Journal of Econometrics. 120: 263-293. Choi, I. (1993). Improving Empirical Size of The KPSS Test of Stationary. http://hompi.sogang.ac.kr/inchoi/workingpaper/in_choi-jetem-_revision_2.pdf, (22.02.2015). Chow, Hwee, K. (2010). Asian Tiger’s Choices: An Overview. ADBI Working Paper Series, Asian Development Bank Institute. Dumitrescu, E., I. and Hurlin, C. (2012). Testing for Granher Non-Causality in Heterogeneous Panels. Economic Modelling. 30: 1-11. Felipe, J. (2003). Is Export-led Growth Passé? Implications for Developing Asia. ERD Working Paper. No. 48, Economics and Research Department, Asian Development Bank, Manila, Philippines. Felipe, J. and Lim, A., J. (2005). Export or Domestic-Led Growth in Asia? Asian Development Rewiev. 22(2): 35-75. Gkagka, A. and Zarotiadis, G. (2011). Growth and EU Trade Relations: A Case Study. South-Eastern Journal of Economics. 1: 1-11, Econometrics Working Paper EWP9914, Department of Economics, University of Victoria. Hanim, K. (2009). Panel Data Analysis of Export-Led Growth Hypothesis in BIMP- EAGA Countries. Munich Personal RePEc Archive. 13264, February. Hsu, R., C. (1972). Changing Domestic Demand and Ability to Export. Journal of Political Economy. 80(1): 198-202. Hurlin, C. and Dumitrescu, E. (2012). Testing for Granger Non-Causality in Heterogeneous Panels. Economic Modelling, https://ideas.repec.org/p/hal/wpaper/halshs-00224434.html (25.09.2015). IMF (International Monetary Fund), 2005. Global Imbalances: A Saving and Investment Perspective. In World Economic Outlook: September 2005. International Monetary Fund, Washington, DC. Iradian, G. (2009). What Explains the Rapig Growth in Transition Economies? IMF Staff Papers. 56(4): 811-851. Lai, Y., W. (2004). The Role of Domestic Demand in the Economic Growth of Malaysia: A Cointegration Analysis. 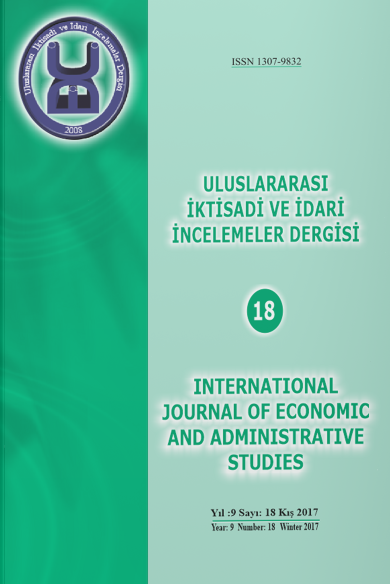 International Economic Journal. 18: 337 – 352. Leng, K., Y. (2013). Domestic Demand-Driven Growth: Analysis Perspective and Statistics Needed. Second National Statistic Conference. Sasana Kijang. Lian, D. (2004). Mr. Thaksin Has A Plan. Equity Research Asia Pacific. Morgan Stanley, September 21. Linder, S. B. (1961). An Essay on Trade and Transformation. New York: Wiley. Nakazawa, M. (2010). Domestic Demand Led Growth: Japan’s Lessons Learned. http://www.mogifo.jp/pri/international_exchange/kouryu/kou96_06.pdf, (01.04.2015). Palley, T., I. (2002). Domestic Demand-Led Growth: A New Paradigm for Development. in Jacobs, Weaver and Baker (eds. ), New Rules for Global Finance, Washington, DC. Also published as A New Development Paradigm: Domestic Demand-Led Growth. Foreign Policy in Focus, September, http://www.fpif.org/. Palley, T., I. (2002). Export-Led Growth of Developing Country Crowding-out. Economic Integration, Regiınalism and Globalization, April. Palley, T., I. (2011). The Contradictions of Export-Led Growth. ECONSTOR. Public Policy Brief, No: 119. Prebisch, R. (1950). The Economic Development of Latin America and its Principle Problem, Santiago: UNECLA. Pesaran, Hasem, M., (2004). General Diagnostic Tests for Cross Section Dependence in Panels. Working Paper No:0435, University of Cambridge. Pesaran, H. M. (2006). Estimation and Inference in Large Heterogeneous Panels with a Multifactor Error Structure. Econometrica, 74(4): 967-1012. Pesaran, H. M. and Yamagata, T. (2008). Testing Slope Homogeneity in Large Panels. Journal of Econometrics, 142: 50-93. Pesaran, H. M., Smith, V. L. and Yamagata, T. (2013), Panel Unit Root Tests in the Presence of Multifactor Error Structure. Journal of Econometrics, 173: 94-115. Singer, H. (1950). The Distribution of Gains Between Investing and Borrowing Countries. American Economic Review, 40 (2): 473-485. Thirlwall, A. P. (1979). The Balance of Payments Constraint as an Explanation of International Growth Rate Differencess. Banca Nazionale del Lavoro Quarterly Review, 32 (128): 45-53. Toda, H. Y. and Yamamoto, T. (1995). Statistical Inference in Vector Autoregressions with Possibly Integrated Processes. Journal of Econometrics, 66: 225–250. Westerlund, J. (2007). Testing for Error Correction in Panel Data. Oxford Bulletin of Economics and Statistics, 69(6): 709-748. World Bank (1987). World Development Report 1987. Washington, D.C., World Bank. Venkatraja, B. (2015). Does Export-led Growth strategy Sustain? An aggregate Demand Dimesion: China’s Experience; India’s Lessons. International Symposium on Emerging Trends in Social Science Research, http://globalbizresearch.org/files/c538_irrem_b-venkatraja-188519.pdf, (22.02.2016).